Everything lately feels like a rush. S picks me up from work. I know he wants to comment about how late I was leaving, about how many times he had to circle around the block before I came running down the escalator, almost tripping two separate times, holding my sunglasses to my face with my free hand, but he doesn’t. At least—not right away. We drive east through a crowded, impatient city. I time it. Thirteen minutes later and: Well, you were eight minutes late. But it isn’t particularly malicious. Rather, it’s unavoidable. I set this deadline myself. My new landlord’s dog is tiny, ugly, with two pink bows—one at each of her ears. She doesn’t like S. She trails behind us as we walk though the maze of buildings to the one I’ll call my own now. She maintains a constant, low-grade growl. My landlord says something in Chinese, maybe. His words are quick and rolling. The dog retreats obediently. It’s 7 and my new apartment is dark. The electricity is off. I stand in the main room and then make my way into the kitchen and then brush past S into the bathroom, through the little hallway with its two massive closets. It was just cleaned, my landlord says. I sign the lease in his apartment. He makes us take our shoes off. Afterward, we eat dinner outside at a tiny Mexican place. Paper boats filled with tacos and guacamole served out of mason jars. I feel a hundred things, lately, at any given time—a mess of emotions fighting for precedence. Mostly, in this moment, I feel full. The tacos are amazing. The night is almost warm. It feels almost like I really live here—California. Almost like I’ve fully moved. I know it’s overwhelming, he says. But no, it’s not that. It’s something else. It’s something bigger. It’s something I don’t yet know how to say. 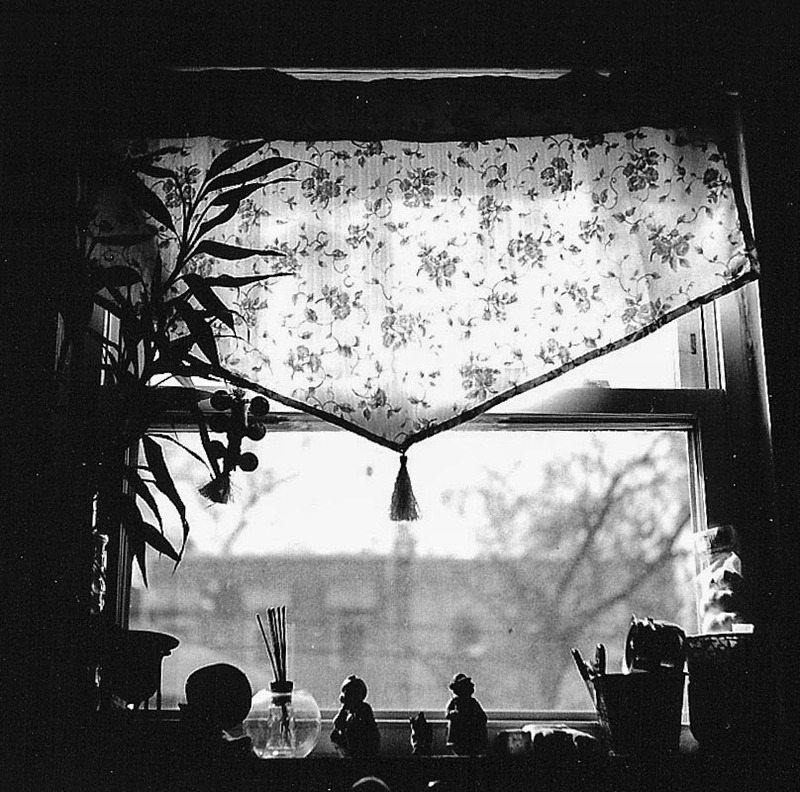 This entry was posted in Journal, Writing and tagged california, diary, los angeles, mason jars, medium format, moving, new apartment, prose, twin lens reflex, yeshiva tlr. Bookmark the permalink.